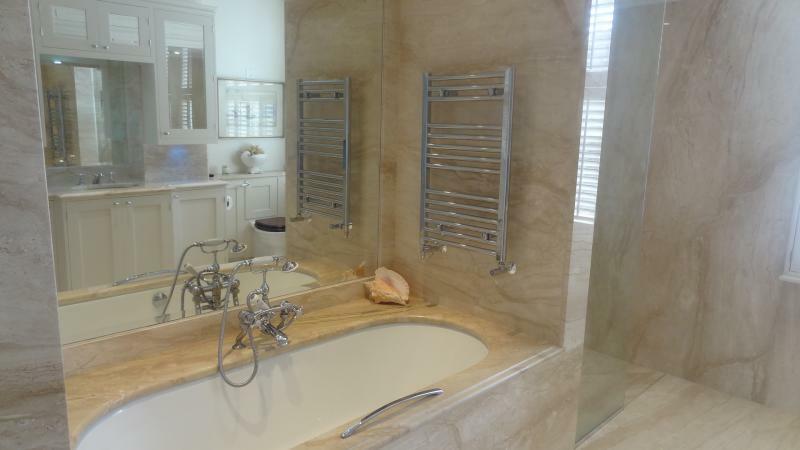 Granite bathroom worktops can beautifully transform your bathroom that is why at County Stone Granite we pride ourselves in offering a specific tailor made service to meet each customers individual requirements. 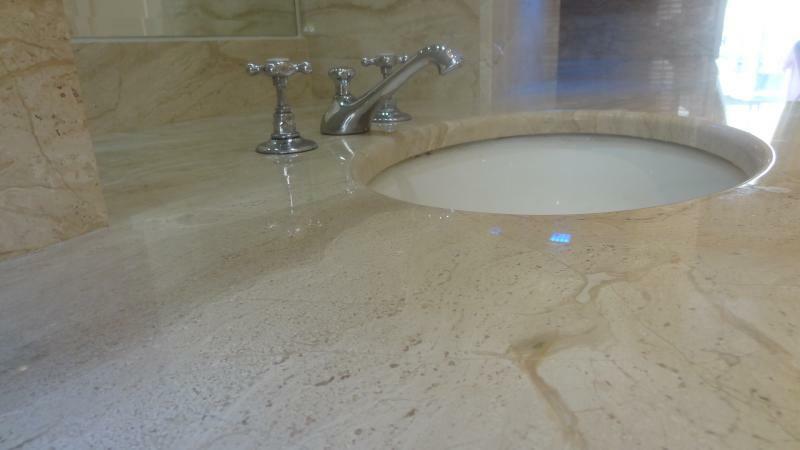 Granite bathroom worktops can be cut from our off cuts in our granite yard or for bigger jobs whole slabs can be ordered to make your granite bathroom worktop. Granite is a coarse grained igneous rock which is formed from molten magma which is cooled slowly over thousands of years. Its make up consists of granite, feldspar and mica. The variation in each slab, grain and movement in the crystal structure are part of the charm of buying a natural stone. County Stone Granite only purchase the finest granite from specially selected suppliers. Each slab when delivered is quality checked twice to ensure our customer receives only the very best. 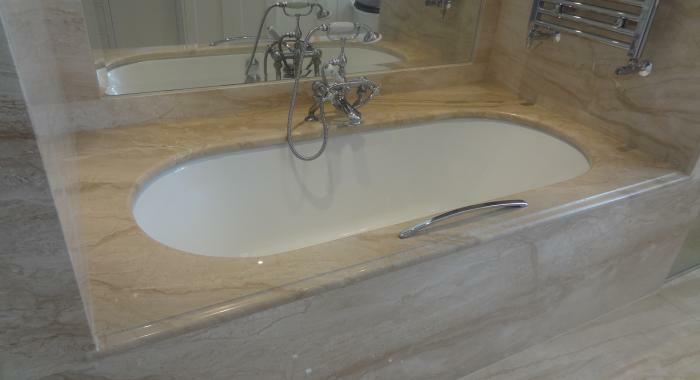 Granite offers beauty, easy care and durability and with its smooth dense structure provides few opportunities for bacteria growth so therefore is ideally suited for use in the bathroom.